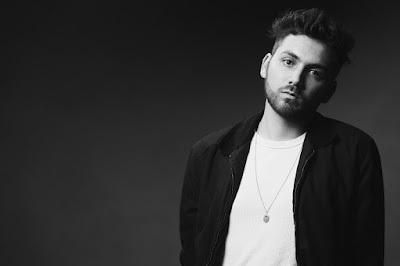 22-year-old singer, producer and multi-instrumentalist Simon XO, is kicking off his solo career with a double-single release: Waiting For Me To Break / How Do I Fight It. These are 2 electrifying singles with an upbeat vibet hat will get you hyped for the weekend. Combining synths, tape-loops, electric guitars and more, both singles set him apart from the crowd and are available for download and streaming on digital music outlets worldwide. Stream them below! This song speaks to the two sides of me that are constantly bickering. I think it’s easy to stereotype a depressed person and an overly-optimistic person as opposites, but I don’t think most people are one or the other. I wrote this song while I was going through a break up with a girl that lived two doors down from me in the same apartment building… no joke. I think this song embraces the hate side of the love/hate swings after a long relationship — when things get dug up, taken out of context and twisted around. Originally from San Diego, Simon XO started playing trombone at a young age. By thirteen, he was blasting it along to Neil Young, Led Zeppelin and Wilco albums. Realizing the dichotomy between his trombone playing and his desire to be a mainstream artist, Simon XO enrolled in USC’s Thornton School of Music to hone his craft. Since then, the producer and multi-instrumentalist has created his own version of electro-pop by combining explorative production elements. Waiting For Me To Break / How Do I Fight It marks his first solo release after years of bouncing around in different bands. With influences ranging from Neil Young to Kendrick Lamar, Simon XO is ready to make his impression on the music industry. Stay tuned for his EP, Covering, set to drop in mid-2018.